Award-winning author and journalist Alexander Stille will be the keynote speaker at a statewide conference presented by the California Interdisciplinary Consortium for Italian Studies at UC Santa Cruz, February 29-March 1. The theme of the conference is "Violence in Italian History and Culture." 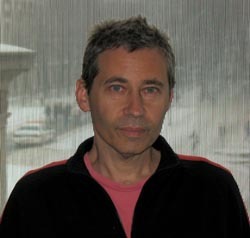 A professor of international journalism at Columbia University, Stille has also contributed numerous essays to the Boston Globe, The New York Times and the New Yorker. His five books include Excellent Cadavers: The Mafia and the Death of the First Italian Republic (1995), The Future of the Past (2002) and Benevolence and Betrayal: Five Italian Jewish Families Under Fascism, which was selected by the Times Literary Supplement as one of the best books of 1992 and received the Los Angeles Times book award in the category of history. Cowell College provost and professor of literature Deanna Shemek--the principal organizer of the conference--explained why the topic of violence was selected as the focal point for the event. "On the one hand, Italy is thought of as a place of good living and beautiful art, but there is also a great deal of violence in its history," said Shemek. "Italy has also contributed significantly to historical theories of violence with such works as Machiavelli's The Art of War and The Prince, which deal with the logic of violence. And following Mussolini's fascism in World War II, the terrorism of the Red Brigade attacks in the 1970s, and the recent aggression against immigrants, there have been new attempts in Italy to understand violence." "Major questions about violence still persist in Italy, as they do in the United States," Shemek added. "Are there historic moments of impasse when communication breaks down and violence appears reasonable? And how can political discourse prevent outbreaks of violence as a last resort, for example, in response to racial injustice or environmental travesties?" Shemek noted that the papers presented at the conference will extend from medieval to contemporary topics, ranging from domestic violence in the 14th century, to the coverage of racial violence in the popular press, to the violent entertainment of Italian slasher films. "The question of how violence operates in a free society is extremely timely," she added. "We think Stille's historical, sweeping analysis of the Italian case will be of interest to the broader community regarding issues we all see in our lives today--but looked at from the perspective of another country that many Americans love." Stille's keynote address-co-sponsored by Cowell College and the Department of History--will take place on Friday, February 29, beginning at 5:30 p.m. in the Stevenson Event Center. The conference continues on Saturday, March 1, from 8:30 a.m. to 6 p.m. in the University Center Alumni Room and will be followed by a reception. All events are free and open to the public. The California Interdisciplinary Consortium for Italian Studies was established in 2001 to bring together faculty, students, and independent scholars from around the state to present and discuss research across all the disciplines of Italian studies. For more information or to register for the conference, contact Kelly Anne Hicks at khicks@ucsc.edu. The full program is available at: Cowell website.